How do scents make sense to men? Men want to feel good and look good to be confident. They are seeking wellness on many levels and want the inside to match the outside. Essential oils and botanicals do just that. The sense of smell is the only sense that is fully developed at birth, and men are influenced by the sense of smell on a core level. Men visit spas for skin care treatments such as facials, chemical peels and microdermabrasion as well as waxing and massages. They seek facials that include deep pore cleansing with masks and treatments for moisturizing, toning and detoxifying. Male skin can be sensitive, deficient and sluggish due to diet and lifestyle. Men have a thick dermis and epidermis, and hyperpigmentation is sometimes a concern. They also tend to have large pores and produce excess sebum. Their skin is often sensitized from razor burn, ingrown hair and Pseudofolliculitis barbae (PFB), which involves inflammation and shave bumps on the beard, lower face and neck areas. These papules and pustules can include bacteria and fungi, and become infected. Stress and a busy lifestyle necessitate aromatherapy in men’s wellness tool kits. Men seek massage to alleviate all avenues of stress and pain in the body, and essential oils and botanicals relax muscles, rejuvenate the skin and body, relieve stress, address pain, stimulate the immune system and create a sense of well-being. Essential oils and botanicals for men can easily be integrated into the spa professional’s menu. To best serve the male client, let’s look at essential oils and botanicals that best fit their skin care needs and how best to deliver these beneficial compounds. 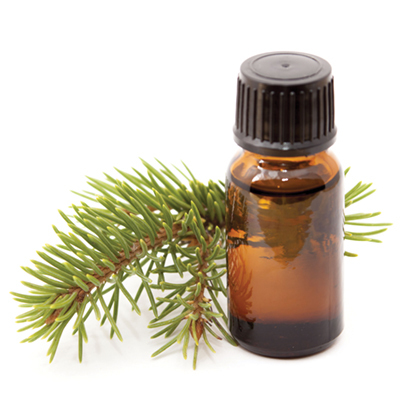 For men, it is important to integrate soothing and calming essential oils into treatments. These oils and botanicals are biologically familiar and metabolically compatible with the human body. They contain different chemical constituents that calm and soothe sensitive and inflamed skin, stimulate collagen production, maintain an optimum moisture level, increase circulation and regenerate healthy skin cells. They also stimulate and tone to reduce bacterial and fungal infections, such as acne and other skin conditions, thus regulating sebaceous glands and balancing over- and under-active skin. It is important to note that the aromatic molecular structure of an essential oil is smaller than that of the skin, allowing it to penetrate to the dermal layer for immediate results. Calophyllum inophyllum (tamanu) contains the phyto compound calophyllolide, which is an anti-inflammatory and antibacterial agent. It is a dark green nut oil that has a mild and pleasant aroma with quick absorption, leaving no oily residue. Tamanu is a thick oil and can be mixed with other carrier oils. Helichrysum italicum (immortelle) essential oil stimulates cell turnover to help address acne, scar tissue, mature skin, rosacea, sun damage and hyperpigmentation. It also has antifungal and antibacterial properties. Melaleuca alternifolia (tea tree) is antifungal, antiseptic and anti-viral. Melaleuca quinquenervia viridiflora (niaouli) has gentle antibacterial and antiseptic properties. Niaouli supports a healthy immune response and is astringent without being too drying. Boswellia carteri (frankincense) is beneficial for dry, sensitive, mature, rosacea-afflicted and sun damaged skin. It helps to calm and soothe, and reduces scarring. It has anti-inflammatory, antibacterial and antifungal benefits. 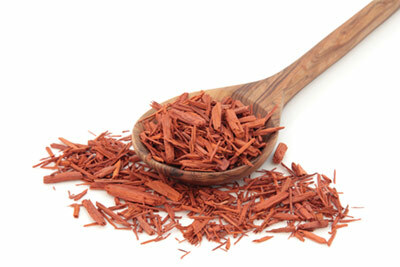 Santalum album (sandalwood) repairs dry and damaged skin, acne and scarring. It is also anti-inflammatory and antifungal. Vetiveria zizanioides (vetiver) is for acne and stressed, dry and mature skin. Calendula officinalis (calendula) is excellent for all skin types. This is the “healing” herb. It is anti-inflammatory, antiseptic and detoxifying. Symphytum officinale (comfrey) leaf and root is often referred to as “nature’s allantoin,” which is known for its ability to turn over healthy skin cells and lock in moisture. Avena sativa(oats) is known to soothe dry, cracked and damaged skin. Aromatherapy massage for men has a positive impact on the levels of serotonin (+28%) and dopamine (+31%) in the body. This, in turn, has a positive impact on men’s mood and how they perceive themselves. Increased levels of the stress hormone cortisol, which is involved with men’s fight-or-flight response, causes chronic inflammation and a weakened immune system. However, aromatherapy massage can reduce cortisol by an average of 31%. Essential oils applied to the face and scalp relax muscles and connective tissue and soften lines around the eyes, lips and brows. When conducting an aromatherapy massage on men, choose fresh, clean scents, as suggested next. Thymus officinalis linalool (thyme linalool)is a gentle, non-irritating species of thyme. It is antiseptic, anti-infectious and antimicrobial. Thyme linalool stimulates skin healing and is tonifying. Pelargonium graveolens (rose geranium) is for dehydrated, sensitive skin or those afflicted by rosacea and acne. It helps to balance hormones. Rosmarinus verbenone (rosemary) is a gentle, soft, rounded scent. It is antiseptic, clarifying and has lymph-stimulating benefits for dry, sluggish skin. Rosemary helps with tissue and cell rejuvenation and balances the endocrine system. It supports increased circulation and blood oxygenation, which encourages the presence of fresh, healing red blood cells. If you are performing a relaxing and calming aromatherapy massage, consider adding Origanum marjorana (marjoram), Lavendula angustifolia (lavender) or Santalum album (sandalwood). For a warming and stimulating massage, try Zingiber officinale(ginger), Abies alba (Douglas fir), Eletteria cardamomum(cardamom) or Rosmarinus officinalis (Rosemary). Due to steam distillation, essential oils are a potent 70 to 100 times stronger than the plant itself. Therefore, they need a carrier or transportation vehicle to dilute and bring the therapeutic qualities into the body. Essential oils are mixed with unscented crèmes, lotions, balms, masks, aloe vera, honey or yogurt, or nourishing, organic expeller-pressed seed, fruit or nut oils such as almond, apricot, avocado, borage, coconut, macadamia, tamanu or olive. For men with sensitive skin, a 1% dilution, or 5 to 6 drops of essential oil in 1 ounce of carrier or base, is an optimal therapeutic treatment and quite affordable for the practitioner. A single essential oil or combination of essential oils or oil blends can be used. Hydrosols are aromatic waters that occur as a co-product of essential oil steam distillation. As the steam cools, it condenses into water or hydrosol. Many of the water-soluble (hydrophilic) plant compounds and some of the oil-soluble plant compounds of the essential oil are retained in the distillation water. These are gentle and hydrating, and balance sebum production, making them ideal for dry, sensitive and oily skin. Hydrosols balance the skin’s pH and help tighten pores. They also are antibacterial. Spray or mist hydrosols generously onto men’s face and neck after cleansing and before moisturizing. They can be used throughout the day for extra hydration. Hydrosols also can be used along with, or added to, a powder mask or in your facial steamer. Wellness and wholeness are not a fad or trend for our male clients. It is a shift in consciousness. They want to feel their best, look their best and be their best. Help them create a home care system that will serve as a health and wellness lifestyle. Emphasize the importance of cleansing morning and evening with an aloe-based gel or crème that can double as a shaving product or mask. Also, using a hydrosol toner for his skin type (rosemary, lavender, rose geranium or tea tree) will help balance pH while restoring, strengthening and rebuilding the skin. Male clients should be given a moisturizer that contains nourishing, replenishing botanicals such as calendula, comfrey, oats and Echinacea angustifolia (echinacea), along with essential oils such as frankincense, sandalwood, Chamaemelum nobile (Roman chamomile) or Atlas cedar (cedarwood). Essential oils and botanical deodorants, hand creams, body lotions, body washes, colognes, dry-brushing and room diffusers are all recommendations for living the aromatherapy lifestyle. Using essential oils in your everyday treatment and spa rooms, along with giving men a home care regimen, will keep them coming back. Quality, pure and therapeutic essential oils and botanicals are not only practical, but provide immediate results. Between this and the serenity they experience in your rooms and at home, they will be back for maintenance and prevention. Wellness has blossomed, and men are on board for today and tomorrow. 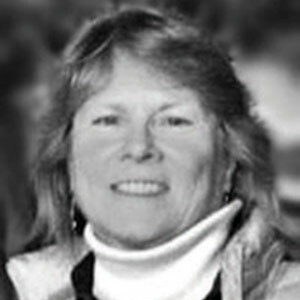 Kim Manley is the creator and formulator of KM Herbals, as well as a practicing AromaHerbalist, massage therapist, flower essence practitioner, reiki practitioner and educator. KM Herbals has over 24 years of partnership with artisan growers, farmers, wild-crafters and distillers.